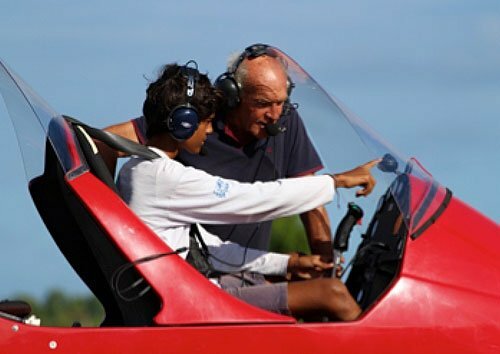 Ulm caraïbes flying school has trained more than fifty pilots in the archipelago. Several instructors at your disposal. Flight initiation and safety procedures discovery (about 15 hours dual training with your instructor). When you instructor will estimate that you have enough experience to fly by yourself, you will be asked to do one traffic circuit pattern, alone in the aircraft (This moment, you will never forget). After only a few more flying hours, you will normally qualify for “solo flights authorization” and your training will continue. Then, your instructor will teach you how to navigate. It will be then a real pleasure experiencing cross-country flying until you finally obtain your pilot license. Only at this moment, you will allow you to carry a passenger friend with you. Ground course: 15 € / hour. Each training period includes the following phases: a ground course, a before flight breifing, a 30 minutes flight time, then a debriefing. Your instructor will fully assist and guide your progression until you succeed to the theoretical exam. The training sessions include a theoretical course, a pre-flight briefing, 30 minutes of flight time and a debriefing. You will be guided and directed by your instructor to prepare the theoretical exam. From the first minute, we focus essentially on pleasure! Imagine you will be in command right after take-off, of course guided your instructor. Once you will get used to “the third dimension” you will learn how to perform simple maneuvers. Decide to learn how to fly an airplane is an important decision. Our “DECLIC” formula helps you decide whether or not, your appeal for flying can evolve into a real passion. “DECLIC” is a 3-hour module which includes of theoretical course and two hours of flight. We usually split this training program into 6 flights of 30 minutes which is much more efficient for the student. Each session includes a briefing, a 30 minutes flight and a debriefing. Theoretical courses will allow you to understand constraints related to flying. 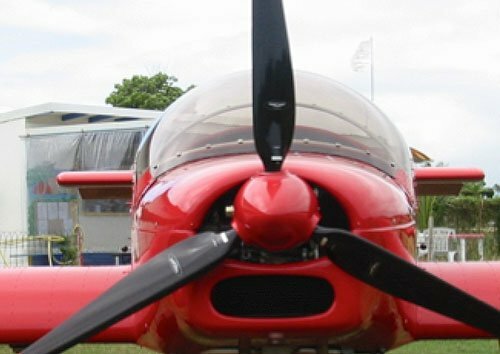 Should you decide to continue your training, our “DECLIC” formula will be included into the training program leading to the obtention of your pilot license.